San Francisco based Blue Cheer came together in the latter half of 1967, initially a six-piece, but by the time of their first recordings they were down to a power trio format, in the wake of Cream and The Jimi Hendrix Experience. Their first single “Summertime Blues” / “Out of Focus” became a national hit in early 1968, and as anyone who saw their national tour with The Doors and Steppenwolf will remember, their claim to fame was that they were the loudest band ever. The first album Vincebus Eruptum, as well as its 1968 follow-up OutsideInside were awash in heavy distortion, the trademark of their early recordings. With no further hits off the second album and the loss of guitarist Leigh Stephens (some say he left the band because he went deaf), the band started going through an endless series of personnel changes, leaving bassist and singer Dickie Peterson the only original member by 1971’s Oh Pleasant Hope, the band’s sixth album, but one that missed the charts completely. Over that period, the band’s sound was refined and the compositions improved, but waning public interest led their label Philips to pull the plug, and the group disbanded. There were two reunions to follow in the 1970s led by Peterson, one from 1974-75, and another from 1978-79, which featured drummer Mike Fleck and guitarist Tony Rainier. This lineup recorded this excellent studio album, which has remained unreleased until now. Launching with a brand new version of “Summertime Blues,” with all the punch of the original, but only about half the distortion, the song sets the tone for the entire album. Also included is a new version of “Out of Focus” that pretty much smokes the original. A rocking cover of the classic “Route 66” makes an impressive appearance here, along with seven other outstanding Peterson originals, including “Child of the Darkness,” which in a later version would come to be the title cut of Peterson’s 1998 solo album. 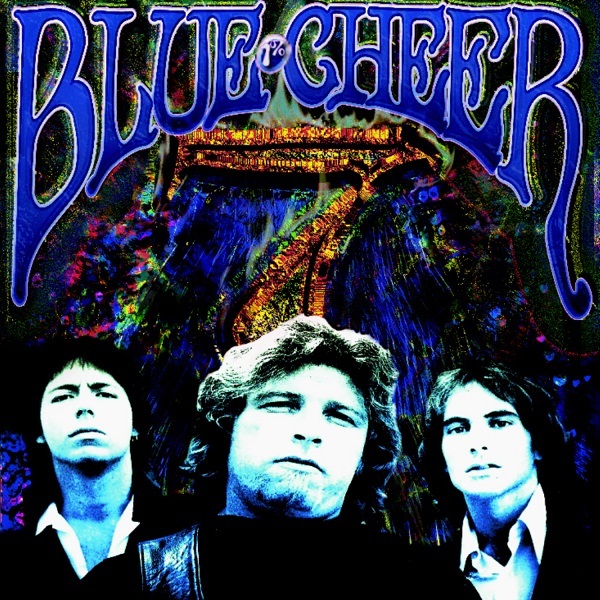 “Starlight” is an impressive workout that recalls much of the best late 70s new wave rock pioneered by folks like Dave Edmunds and Nick Lowe, as does side two closer “Feelin’ OK.” All said, this is an essential and heretofore missing piece of the Blue Cheer puzzle.